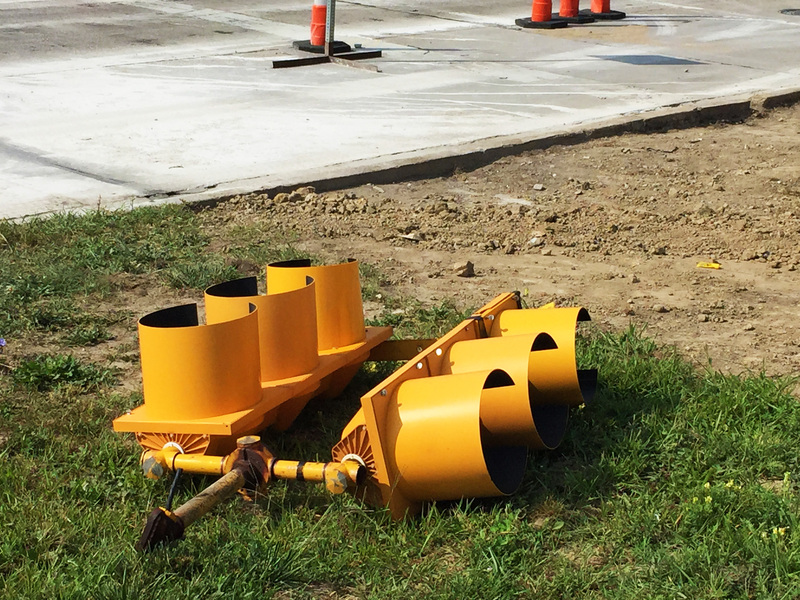 AEW worked with the City of Pontiac and the Notre Dame Preparatory School and Marist Academy (NPDMA) to complete traffic safety and operational improvements at Gidding Road and Walton Boulevard. NDPMA is located on Gidding Road south of Walton Blvd., and traffic on Giddings Road during school arrival and dismissal periods would back up both north and south of Walton Blvd. The City of Pontiac sponsored a safety grant application prepared by AEW on behalf of NDPMA to add a dedicated left turn lane for both northbound and southbound Giddings at Walton, as well as replacing the traffic signal at the intersection. AEW prepared plans and special provisions for the project in accordance with MDOT Local Agency Program standards. The road was widened and resurfaced with new curb and gutter, storm sewer, permanent signs and pavement markings. Traffic signal modernization included upgrades from a diagonal span to a box span configuration, loop detectors, pedestrian countdown signals and flashing yellow arrow signals for left turns. A protected left turn phase was also added for traffic on Giddings Road. AEW prepared a new timing permit for the intersection, and field optimized the timing after school resumed to reduce vehicular delays at the intersection. AEW also performed construction engineering services for the project during the summer of 2015, working closely with the contractor to ensure the road was open to traffic when school resumed in the fall.